Tom Hughston is Chief Executive Officer and Principal of RHSB also serving on the Board of Directors. He specializes in commercial insurance production. In 1991, he joined the firm and was appointed to the Board of Directors in 1995. Tom is active in the insurance industry serving on various local and national boards. He currently serves as a member of the Board of Directors of Assurex Global, an international partnership of the most prominent independent agents and brokers in the world. 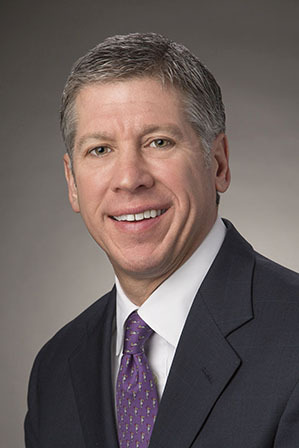 He is a Board of Director of The Council of Insurance Agents & Brokers (“CIAB”), the premier association for the top insurance intermediaries worldwide and served as Co-Chair for the Council P.A.C., a Political Action Committee that serves the broker community. He is also a Board Director for the Foundation for Agency Management Excellence (“FAME”), a 501(c)(3) charitable organization that promotes leadership and excellence in the agent/broker community. Tom graduated from the University of Texas at Austin in 1986, where he received a Bachelor of Business Administration degree in Finance.